Archive for the ‘EFM32’ Category. Gal ordered some PCBs from PCB-Way a while ago. It was multiproject panel with several PCBs. One of the modules was double sided revision of the Pressure, temperature and humidity sensor based on MS5637 HDC1080 which was posted while ago. Full bunch of wires is hanging from each HAM station and PC connected to the station: CAT, audio, each via dedicated interface for isolation or level shifting. Additional mess is with parrots or digital interfaces for digital mode. I wanted simple solution, which can be conected to PC via single USB cable. I was looking for simple audio CODEC and found WM8731. To have enough processing power for some simple DSP audio I chose cortex M4F microcontroller. There is also micro-SD on the board for audio recording and playback, two mini-DIN connectors with YAESU pinout and galvanic isolation for USB. I stareted this project few months ago. I will add posts when I will make progress with module programming. Stay tuned for further progress reports. The software will be published on git. Energy micro has wonderful demo/proto boards. But sometimes it is more useful to have bare module without any periphery. Jut fan-out-ed pins, power supply and oscillator. 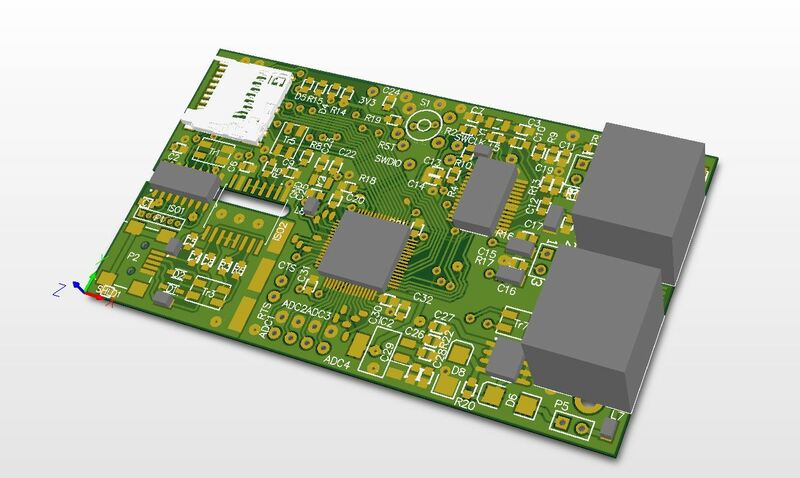 Pins should be 100mils raster in order to stick the module inside other protoboards. 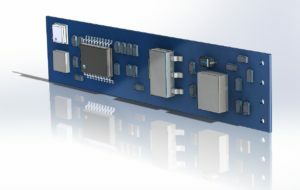 Presented protoboard is the one, which fits in above requirements. Powered by Pavlin.SI 44 queries. 0.388 sec.